A lot of electricity is used in the making of wine. In addition to powering our offices, and running the bottling line, we run air conditioning and humidifiers in the cellar to protect the integrity of the wine aging in barrel. On average, there are 260 sunny days per year in the Napa Valley. 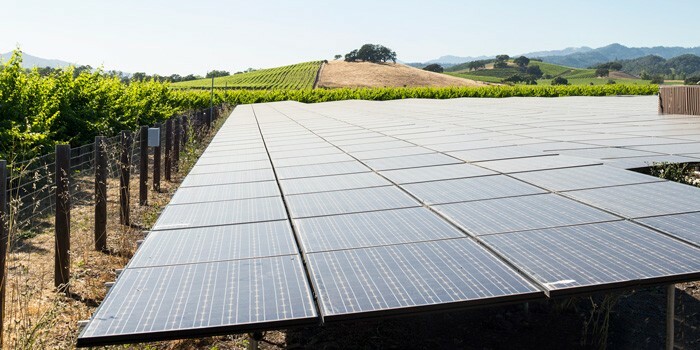 So it made perfect sense for us to look to solar energy as a sustainable means to power our winery. 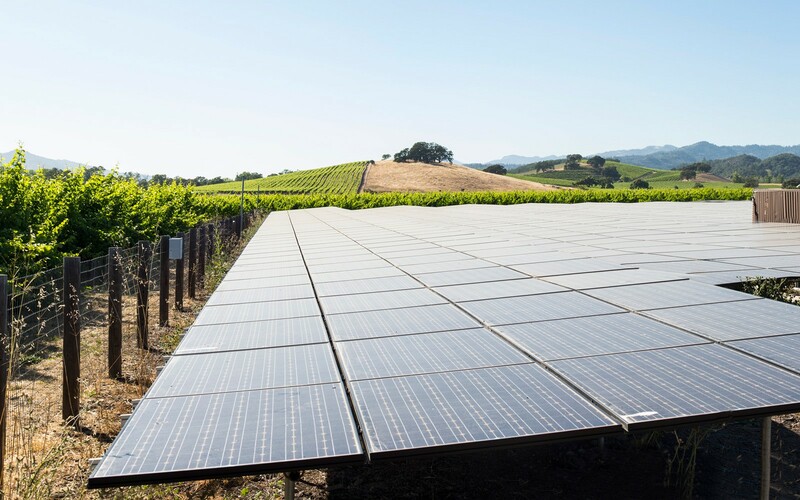 In August of 2006, we threw the switch on a photovoltaic system consisting of 819 Sanyo 200-watt ground-mounted modules designed to generate enough power to run the winery, including cooling and bottling. But as the winery grew, so did our energy needs. So in August of 2015, we added 696 Bosch 270-watt roof-mounted modules, essentially doubling our power production. Not only are we saving thousands of dollars a year in electric bills, we are eliminating more than 500,000 pounds of carbon dioxide emissions annually -- the equivalent of planting more than 70 acres of carbon dioxide-absorbing trees. We also feed any excess energy we produce back into the grid, for others to use.